During a recent dinner at Bodega/The Rest, I was chatting with bar manager Caleb Cannon about Malbec. It’s a wine varietal he likes to include in the restaurant’s wine selection, in part due to its versatility, but also for its value. Incidentally, The Rest has a fun, no-nonsense wine list. There are three wines listed in three categories: White, Red and Bubbly. The wines within those categories are available by the glass or bottle and are simply identified as cheap, decent or good. This allows flexibility in the small wine list, which changes frequently. But, back to Malbec, a grape variety that’s one of the six allowed in the making of French Bordeaux, where it is used strictly for blending. Many winemakers use it to add color to their wine blends. It’s also the main grape in the red wine of Cahors, France. The thin-skinned grape thrives especially well in Argentina, where the Malbec wines produced tend to be softer, less tannic and more approachable than most from Cahors. 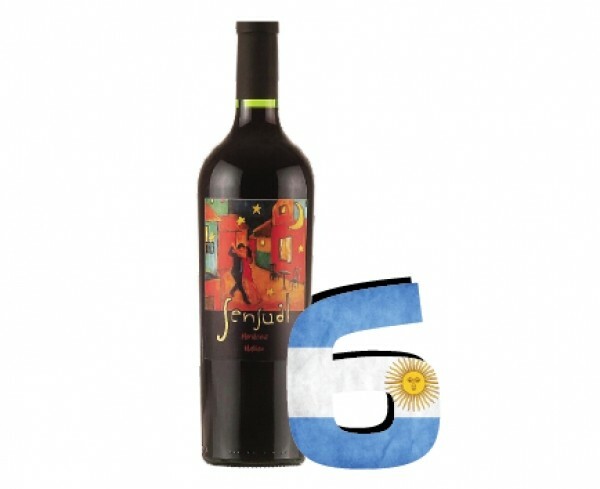 They are, generally, exceptional values; good Malbec from Argentina can be had for well under $15 per bottle. Today, Argentina accounts for more than 75 percent of the world’s Malbec production, and there is a lot of Argentine Malbec to choose from here in Utah. You could pay as much as $200 for Viña Cobos Malbec, should you care to splurge. But you don’t have to. I find the more economical young Malbecs from Argentina quite appealing, in part because they don’t spend too much time in oak—usually no more than six months. I recently bought a random assortment of six economical Argentine Malbecs—all of them from the Mendoza region—and took them out for a spin. Medrano Estate 2011 ($11.99): Good acidity and very soft tannins make this Malbec a real crowd-pleaser. Black cherry, plum, blueberry and cola flavors, combined with subtle, toasted oak notes make me think Medrano Malbec would be a good partner for dark poultry meat, quail, pheasant or duck in a rich, dark fruit sauce. Sensual 2012 ($10.89): How could I resist a Malbec called Sensual with two tango dancers on the label? Well, maybe I should have. I found Sensual Malbec to not be very sensual—the fruits seemed unripe and green, perhaps not too surprising for the young 2012 vintage. I’ll come back to it next year. Trapiche Vineyards 2012 ($9.99): See Sensual 2012. Green and not too pleasing. Layer Cake 2012 ($15.99): This was the most expensive of the bunch, and one of the best. Big, rich, earthy flavors make me want to drink this with black truffles. Yum. The Show 2012 ($13.99): Silky smooth tannins and a velvety texture, yet a bit hot on the tongue. I’d let The Show’s alcohol and not-quite-ripe fruits mellow for a year or two, then come back to it. Altos Las Hormigas Clasico 2012 ($11.99): Of the 2012 vintage Malbec I tasted, this was a favorite, with nicely balanced black and red fruits, along with mocha and vanilla flavors from new French and American oak barrels. It rocked my pork carnitas.